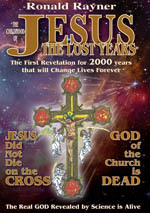 THE FIRST REVELATION IN 2000 YEARS THAT HAS THE POTENTIAL TO FETCH CHANGE AND RENEWAL TO THE LIFE OF EVERYONE WHO READS THIS BOOK. The Great Sole Mahatma Gandhi, claimed that a mysterious force pervades the planet that defies proof of its existence. Pioneering Author and Film Maker, Ronald Rayner, acknowledged as the greatest Mystic and Author, Seer and Prophet since Nostradamus and Carl Jung, whose predictions in his books have enjoyed a run of one hundred percent accuracy over the last five years, revelas the greatest Revelation for two thousand years; that the mysterios force claimed by Gandhi really does exist in scientific reality, showing all thinking people that the old God of the Church really is Dead, a scientific fact. Jesus did not die on the cross. From this brain storming revelation emerges a real God, the God of scientific fact, has always existed, inadvertently revealed by top scientists is alive and well, although suffering from Global Warming, a problem that will be resolved by a series of different Armageddon on the way in Future Time. Everybody rejoice and be glad that anyone can pray directly to the real God, the only God that exists in scientific reality, accompanied by Gods Messenger, a real Holy Spirit that continually transmits everything to planet Earth, every second of every day; proven by science. 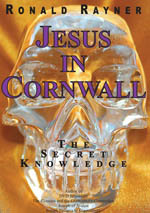 A new dimension, a real power has come into people’s lives; reaching over the whole family, fetching renewal and confidence to everyone who reads this book.